At UMHB, we recognize that learning takes place in all areas of our campus community. State-of-the-art classrooms with innovative technology encourage interaction and enable students to gather information from the far reaches of the globe. Safe, attractive living spaces encourage students to live and learn in a Christian community where they can be supported during years of social, emotional, and spiritual growth. Activity areas encourage healthy lifestyles and involvement in student organizations where students can learn how to work with a team and develop leadership skills. To support all of these aspects of student growth, UMHB has placed a priority on the upkeep of current facilities and the development of new ones. Strategic purchases through the years of nearby properties as they have become available have made it possible for the university to expand its campus from the original 10 acres to more than 340 acres today. As the student body has grown and degree offerings have expanded, the university has added the facilities needed to provide first-rate educational opportunities in a beautiful residential setting. The creation of a student activity zone within walking distance of all campus residences, to offer a greater variety of wholesome activities that build community and school pride among the students. The university included the existing Mayborn Campus Center (with its arena and student fitness facilities) in the zone and added a new football stadium/student union complex (which includes a great hall for conferences and large dinners, offices and meeting spaces for student organizations, a campus store, a band hall, and areas for residential and retail dining). The construction of a center for visual arts and a performing arts center, so that all students can experience and learn to appreciate the fine arts as a part of their UMHB education. Today all of the projects in the 2011 Campus Master Plan have been completed. 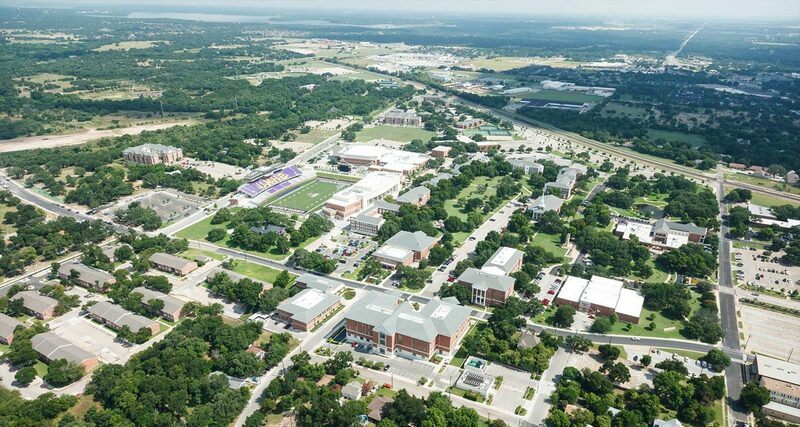 A new campus planning process is already underway, to outline UMHB’s next steps for growth and improvement.